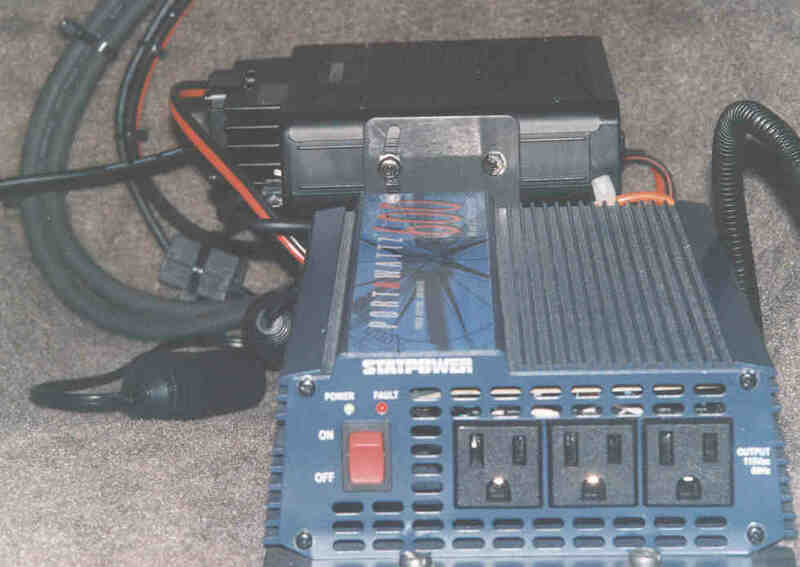 For the other major hobby (amateur radio), a Standard C5900 tribander (6,2 meters,70cm) is installed with the rf deck underneath the right passenger seat next to a 600watt Portawattz inverter as shown in the right photo below with the seat removed. 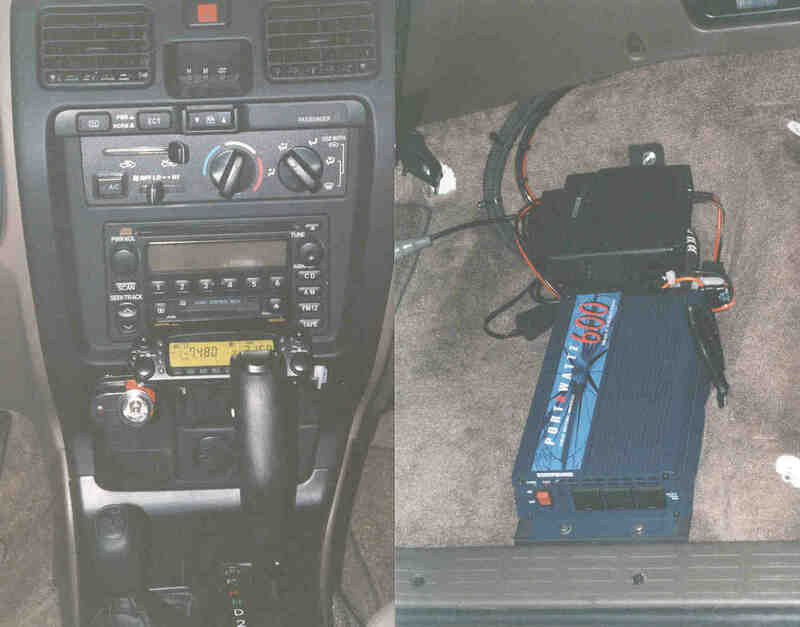 Considerations in this installation were to keep the rf deck well isolated and separated from all of the Toyota onboard computer systems. Note the 2 gauge welding cable used for the inverter power to minimize voltage drop, as the inverter can draw up to 80amps. A separate wiring run is used to supply the 25amp load for the rf deck and minimize the chance of conducted rf getting into the inverter. The primary purpose of the inverter is to power a notebook computer I take on the long trips. The notebook computer is used to upload and download data to the GPS unit. The cigarette plug receptacle on the floor is the power feed for a solid state cooler that is used on road trips; this receptacle feeds through a voltage monitor module that allows the cooler to be left in the vehicle running overnight, but will shut the cooler off before the battery is pulled down too low. The remote control head for the tribander is located just below the CD player as shown in the left photo below. The gear shift is well out of the way except when in park as shown in the photo below.